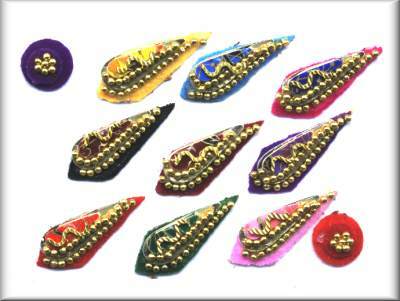 Multi coloured pack which includes raindrops and round bindis. All decorated in gold beads and snake shapes used from gold foil. 11 per pack.